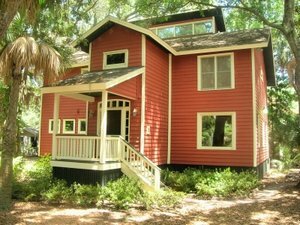 This lovely North Forest Beach home has 3 bedrooms, 4 baths and is perfect for vacationing. There's additional sleeping in the loft and computer room. Sleeps up to 11, counting sofas. Offers spacious, relaxing living, TV viewing, computer (wireless) and dining areas. Fully equipped kitchen, 2 working fireplaces, a washer and dryer. Located in one of the island's most desirable neighborhood, this home is within walking distance to the beach (fifth row) grocery stores, shopping, a theater, restaurants and bars. Beach chairs, a tent and coolers are included as well as 6 bikes and 3 kayaks. 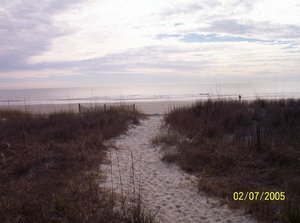 Hilton Head Island is a resort community with beautiful scenery, great restaurants and golf. It is a short 1 hour drive to historic Savannah, GA and beautiful Beaufort, SC. The waters around Beaufort are part of the ACE Basin, an exceptional nature preserve. It is also just a 2 hour drive to historic Charleston, SC. We want to make your vacation work for you, check-in and check-out times and days are flexible.